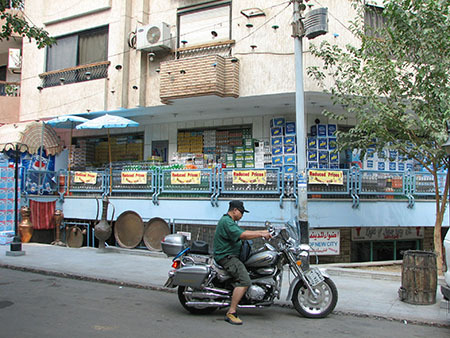 Miriam Market is a local grocery store in Cairo, Egypt. They mainly serve expatriates and upper middle class locals. The owner of this local supermarket needed to boost customer numbers, trust, and build a successful branding strategy before a competitor opened its doors around the corner. The owner did not have a huge budget to work with, and had run out of ideas on how to tackle his problem. Knowing that word-of-mouth is one of the strongest forms of advertisement amongst expatriate communities (the store’s target audience), I gathered quotations from existing customers about why they choose to shop at Miriam Market versus other stores. Combining these quotes with the store’s logo and displaying it road-side helped strengthen the Miriam Market’s brand and increase customer numbers by 12%.